You know what? I don’t even think this needs an intro. SMS marketing just blows its competition out of the water. Like Trump would say it, SMS marketing has tremendous open rates, the biggest you ever saw. They’re just huuuuuge (yuge to be more exact). What this means is that a simple text marketing campaign can help you cash in bigly. Believe me! Kidding aside, I don’t know of any reason you could possibly have to not take advantage of the fact that your clients and prospects are basically non-stop on their phones and leverage this in your favour. People can’t help themselves but check every single text message they receive and that’s exactly why SMS marketing has a 98% open rate. It’s the perfect time to take advantage of the business impact an text marketing campaign can deliver, and I’ve decided to offer you a bit of a head start against your competitors by showing you 7 simple campaigns you can implement for your business. This is the easiest way to build your mobile marketing list and boost your sales at the same time. It’s not uncommon for people to refuse to buy a product because they perceive it to be too expensive or simply not fitting their proposed spending budget for the day. 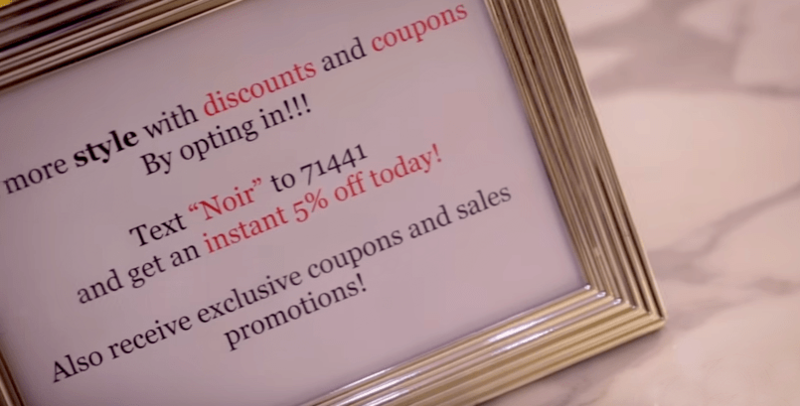 By offering a discount to those already on your website or in your shop, you’re improving your chances of making more sales happen while getting new text subscribers to opt-in. Not everybody will want to share their phone number with you, but enough people will. Around 44% of all consumers are open to giving their personal data in exchange for a freebie or a discount. Oh, and yeah, don’t “but” me, I know what you’re thinking: “but, Cindy, what if they’ll opt-in to get the discount and opt-out after the purchase?”. Well, here’s the best part about this – they don’t actually do that. There are various studies on this topic and while the average percentage of people who opt-in to get the discount and then quickly opt-out is around 2%, the highest percentage I ever saw was 7%. Let’s not even take into consideration the average rate of sneaky opt-outs, but the highest I saw. Would you really be upset if seven out of 100 people left after you gave them a discount? There are still 93 left. These 93 made a purchase and stuck around for new deals. Some time ago, Taco Bell decided to test out a mobile marketing campaign. They offered a freebie, a Frutista Freeze, to anyone who subscribed to their SMS list. At the end of the campaign, 93% of the people who subscribed to get the freebie were still on their list. Did you know that in Scotland you can take a test for a qualification and receive your results as a text message? I just found out and it made me realise that many of my marketer friends have a tonne of quizzes and tests on their websites and they just hand people their results. What a waste, right? If you have developed a test that’s really good and people see value in it, you already have what you’d need for mobile marketing subscriber acquisition campaign. Just get people to subscribe to your SMS marketing list to get their test result delivered to their phone. 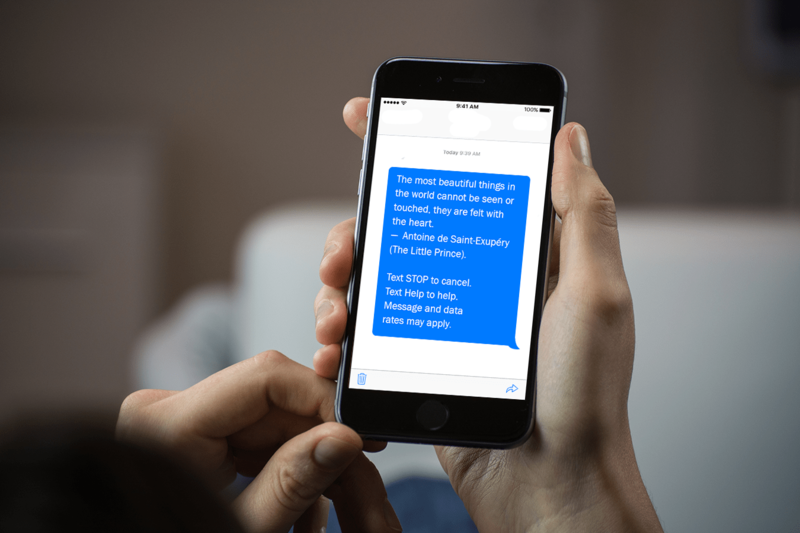 This might catch you off guard, but text-based lessons are a thing now. It’s so smart that I’m kind of annoyed that I haven’t thought of this first. It’s just brilliant. If you’re already teaching a course or hope to cash in on your experience this way, launch a simple text marketing campaign in which you offer a free SMS-based lesson, no longer than 10-15 text messages, to those who subscribe. It’s a really great offer to get people to opt-in. Think how much it can also do for you and your expert status – you’re that good that you can teach people skills, techniques, strategies in a few simple text messages delivered to their phones. One reason there aren’t more people taking online classes is because they don’t always have the time to be in front of their computers to study 10-page lessons or view 3 hour long videos. Getting this out of the way is pure gold. You’re offering something people need, wherever they are, no matter what they’re doing. They’d be crazy not to subscribe to something that can improve their lives, careers, businesses. I’ve found this gem a few years back in one of the most unexpected places. A team of teenage bloggers were sending daily motivational quotes, relevant to current events, to anyone who would subscribe to get their text messages. Their readers loved the idea and many subscribed. This was happening back in the day when sending mass text messages was expensive, so these teenagers were doing it by hand. They built a loyal community of people their age that were buying the products and events they were recommending, helping them make money as affiliates. If you’re a personal coach, hypnotherapist, or provide any type of products of services that ties in nicely with a bit of daily motivation, do this. Motivation is a service you can offer for free to those subscribing, and it can help you sell your products to people you know are interested. Wouldn’t you want to know when something’s up? Toxic gas coming toward my city? I’d like to know. Wildfires in my county? I’d also like to know that. That one course I’ve always wanted to take but never afforded is on sale today? Yes, I’d also want to know that. If having the information vs. not having it makes a world of difference for your clients and potential customers, you should think about setting up an SMS alert system. Sure, you won’t text them too often but your messages will always be considered of vital importance. Sometimes people want a free sneak peek. Who can blame them? I also want to know what I’m asked to pay for. You can’t really build wealth throwing money left and right on whatever sellers say it’s good, you need a little proof. So, maybe, instead of giving your book previews or software demos for free, get people to subscribe to your SMS marketing list to get the goodies. Make them give something to get something. After all, if they’ll fall in love with the preview, they’ll want to know what deals you can offer them for buying the whole thing. Win-win. Storytelling is important in education, in business, in the way we understand the world around us and its lessons. It helps us sell products and services and make people understand where we’re coming from, where we’re going, and where can we take them if they want to join the ride. One totally epic way in which someone has used storytelling and text marketing is the story (heh!) 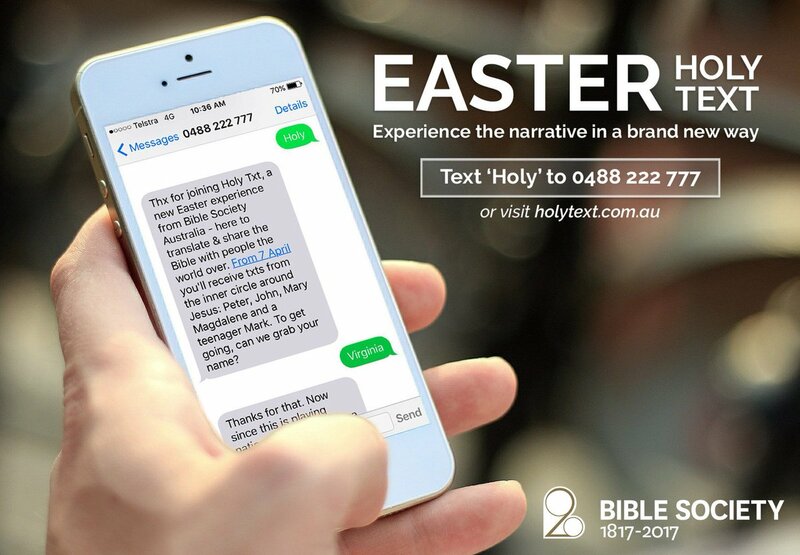 of Bible Society’s ‘Easter Holy Text’ campaign. Yes, you read that right. Please allow me to blow your mind. Bible Society is an Australian interdenominational Christian charity working with people in need and spreading Bible teachings. So far, nothing out of the ordinary, right? Well, this past Easter they decided to really engage people. They created a landing page where you could submit your phone number and get to experience the story of the crucifixion and resurrection of Jesus, as told by key figures who were around him at that time, as described in the Bible. What would happen after you subscribed to this super creative campaign, is that you would start receiving voice-mails from various figures. The recordings had the power to take you deep into the story, following a timeline. This proves there’s no limit to how creatively you can engage your customers and leads. You don’t have to go so far as to hire actors to record voice messages, but you can still use a timeline for the story you want to tell about your products and services and start sending texts at the right moments, so you could make your story more powerful. The ideas above are just a few examples of campaigns you can run for your business, but there’s an entire world of possibilities just waiting to be explored by entrepreneurs like yourself. There are many creative people who use mobile marketing for things that have nothing to do with making money online or getting people to come to their stores, and their ideas can still be great sources of inspiration. Fantasy football players promising exclusive tips for newbies via SMS. There are many people you can learn from. You can observe them and see how their campaigns perform and then take and adapt what would make sense for your own business, in your own niche. If you’re looking for a way to manage your SMS lists, send broadcasts and even set up automated text messages, Mark Thompson and I have created a powerful autoresponder that works just like an email autoresponder for marketing, but for Text message marketing. Visit Text Deliver for more information! Making SMS and MMS as the marketing weapon is not new but the way you have done research and analysis in “7 successful SMS Marketing Campaigns for borrowed ideas,” deserves commendation. 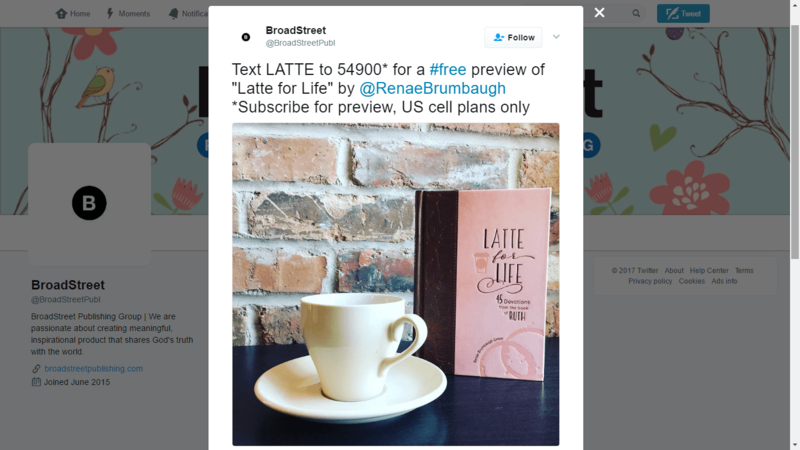 The article needs publicity and a follow up process article, “7 steps or 3 steps to launch your campaign,” to make many to switch on to Mobile marketing. Good job done ,Great Info.Thanks for sharing. I shall take it to my site as a Guest post. Thanks for the suggestion – and totally thanks for the the sharing too 🙂 You’re right – there’s not a lot new about sms marketing, but so many Internet marketers are leaving this just sitting on the shelf … when it’s so easy now. I’ll have a look into sharing some more info about setting up campaigns – it’s SO much easier than you think, and the fact that you don’t need to write entire emails.. just a short text message – cuts marketing time down dramatically!